Categories: 4-20 mA, Digital, Output, Type Of Transmitter, Transmitters, Approvals, ATEX Ex ia, CSA, FM, Input, RTD, Thermocouples, Isolation, Isolated, Measuring Channels, 1 Measuring channel, Design, Head Mounted. 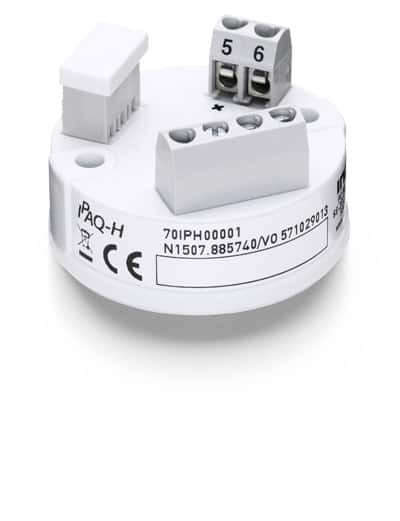 IPAQ-H/-HX are universal, isolated 2-wire transmitters for temperature and other measurement applications. They combine competitive pricing, functionality and simple configuration. Useful error correction functions improve the accuracy.